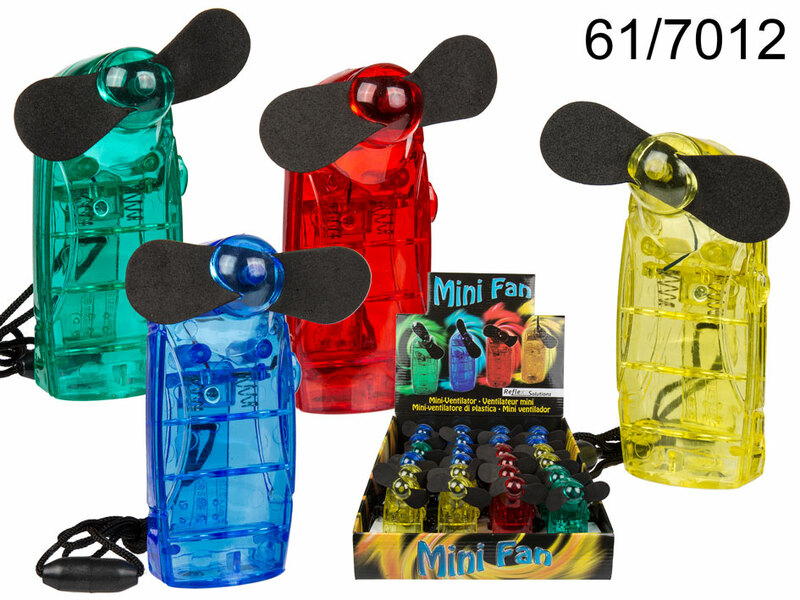 Plastic mini fan available in several colours (assortment). Battery-operated (for 2 AA batteries). Perfect corporate gift. Casual gift idea for everyone. Display stand contains 24 items. The given price is for 1 item.